High up in the Rocky Mountains of Colorado, rescue teams are struggling to retrieve the remains of four, possibly five, people killed in a plane crash. At an elevation of 11,600 feet, the rescue operation is difficult. A San Juan County ground crew reached the site late Sunday night, confirming the crash. Investigators who have seen the wreckage say that there were no survivors. The plane was heading for Amarillo, Texas yet went missing Sunday afternoon. The Civil Air Patrol began searching for the plane as soon as they started to suspect something was wrong. After leaving Barstow, California early Sunday morning, radio contact was lost somewhere around Grizzly Peak (13,736 feet high). 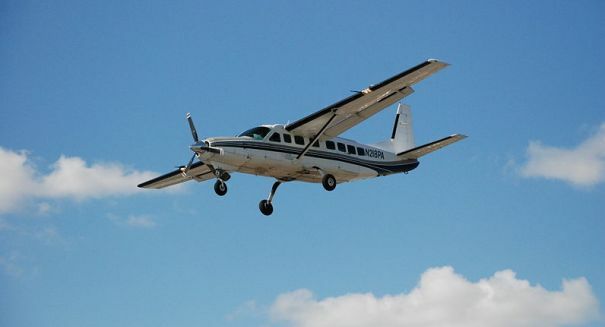 The twin-engine Cessna 310-H went down around 4:15 p.m. local time on Sunday in a remote section of the San Juan Mountains, part of the Rocky Mountain range, said the National Transportation Board. The National Guard of Colorado has been on hand to transport the authorities, including a coroner, by helicopter to the crash site. At the present time, the cause of the crash is unclear. The names of the victims have not been released.